This week we continued working on the tutorial and finished up some work on the nav system. 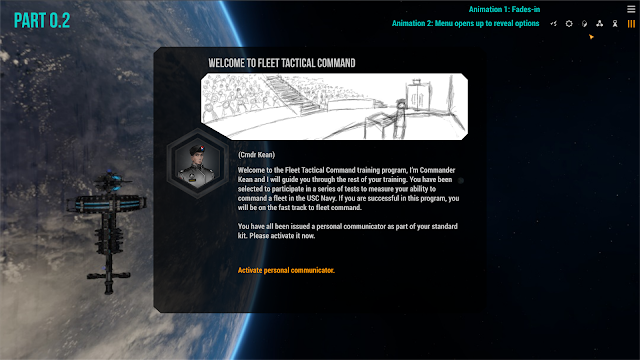 As explained in a previous devblog, the FTC tutorial will be quite extensive, but also serve as an entry point into the story and lore of the FTC universe. Of course, the tutorial is completely optional and not experiencing the prologue has no real impact on the understanding of the game's story. Next week, we will move onto combat and UI. This week I finished up some behind the scenes optimisation to the core system generation and finished up navigating around the system. 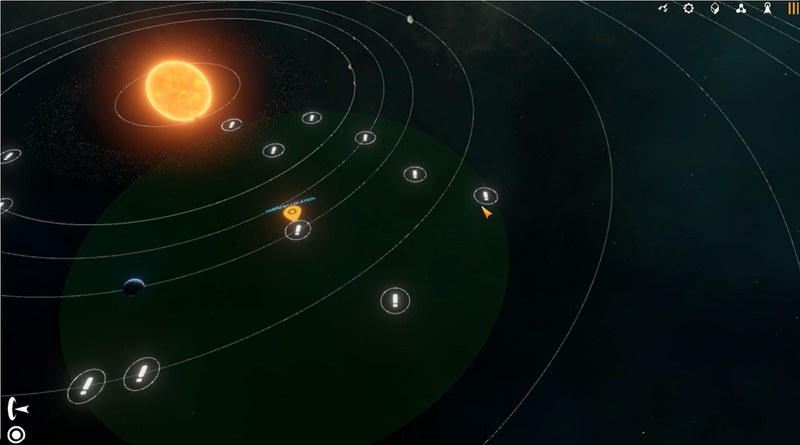 Navigation now has a few new features like exploring and navigating the system. Coming across random points of interest to travel to which triggers a random event, quest or combat sequence. I've added a radar with a radius. When the ship travels to a point it discovers hidden space marks inside the radius and the ship can only travel to the points inside its radius. I've uploaded a video here with some mass effect music to get the vibe going. The tutorial starts at the USNS Tobruk (United Systems Navy Ship). However, the Tobruk is a Naval academy (there is a tradition in the USCN to call stations ships). In the tutorial, the player goes through a series of simulations to familiarise them with fleet management, navigation and combat. 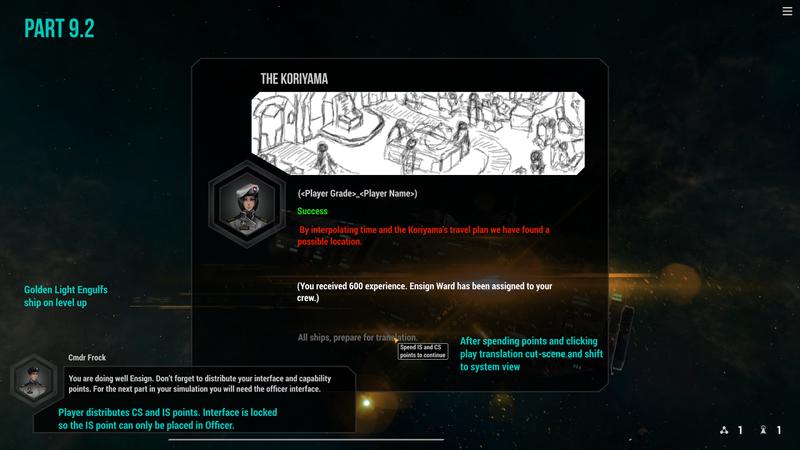 The tutorial also introduces players to other aspects of the game including random events and branching dialogues. The tutorial itself is quite quick, less than 15 minutes. Although the tutorial introduces the core features of the game, players should be able to pick the game up without the tutorial to guide them. There are several branching moral options that have no real impact on the game, but does reflect on the player playing it. These are designed to force the player to question their own morality. The mock-ups above should give you some idea of the visual aesthetic FTC is going for insofar as UI design and menus. Thank you for your continued support and I hope you enjoyed a little behind the scenes look at FTC's development.